IT’S CARNIVAL TIME! Sidewalk side or neutral ground, second line yourself right into the revelry of Mardi Gras. 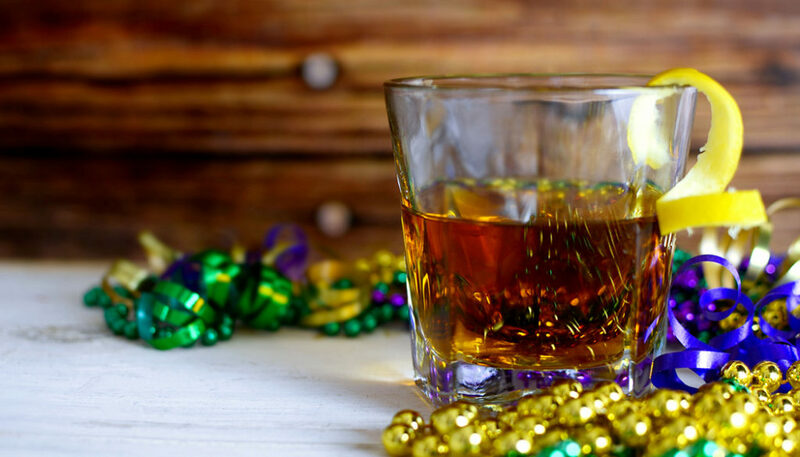 Get your go-cup ready and meet up with your krewe for a little debauchery as you indulge in some of our favorite carnival concoctions. Laissez les bons temps roulér, y’all! Lavender Epiphany 1 ounce vodka ½ ounce fresh lemon juice ¼ ounce lavender syrup 1 cup water 1 cup sugar 1 tablespoon dried lavender buds Add vodka, lemon juice and lavender syrup to an ice-filled cocktail shaker. Shake and strain into a glass. 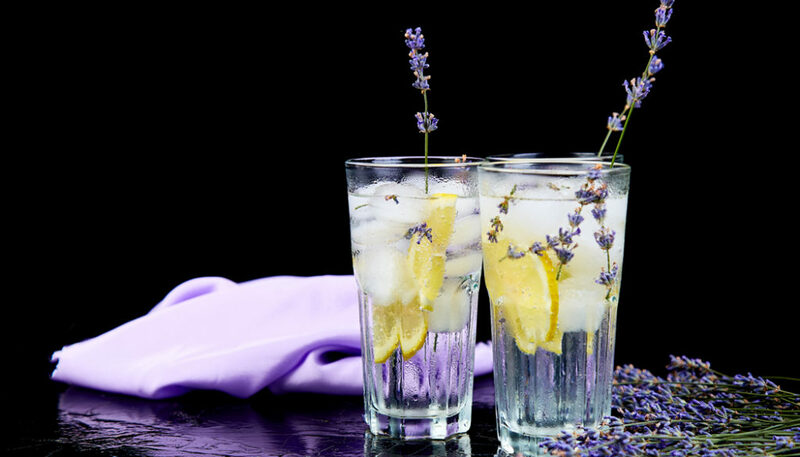 Garnish with a lemon slice and dried lavender buds. 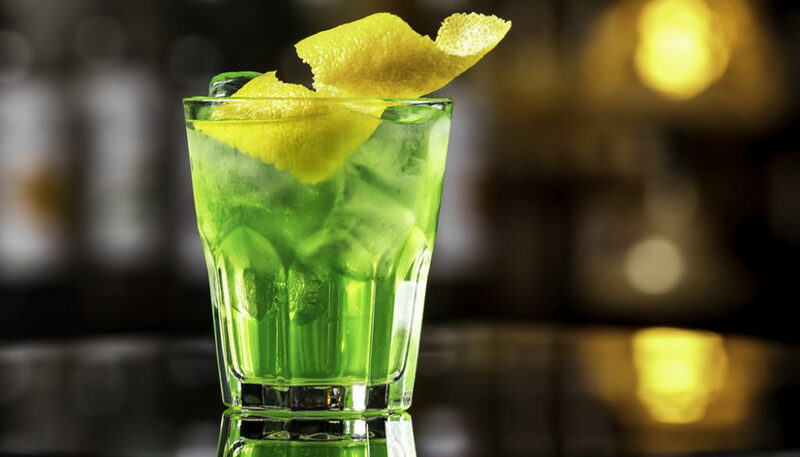 Mix Me Somethin’ Mista 1 ounce Irish whiskey 1 ½ ounces sour apple vodka 3 ½ ounces elderflower tonic water Lemon peel Green apple slices Mix Irish whiskey, sour apple vodka and ice cubes in a cocktail shaker and stir for 25 seconds. Strain into a glass filled with ice. Top off with elderflower tonic water. Garnish with apple slices and a lemon zest twist. Trashed Wednesday 1 cube sugar 1 ½ ounces rye whiskey or bourbon ¼ ounce herbsaint 3 dashes bitters Lemon peel Pack an old-fashioned glass with ice. In a second glass, add the sugar cube and bitters and crush the sugar cube. Add rye whiskey to the bitters and sugar. Empty ice from the first glass and coat it with herbsaint. Pour mixture from the second glass into the first glass. Garnish with lemon peel. Funky Monkey Punchy 1½ ounces pineapple infused vodka ½ ounce pomegranate liqueur ¼ ounce freshly squeezed lemon juice Ginger beer Orange twist Fill a cocktail shaker with ice. Add the vodka, pomegranate liqueur, and lemon juice and shake well. Strain into a tall glass. 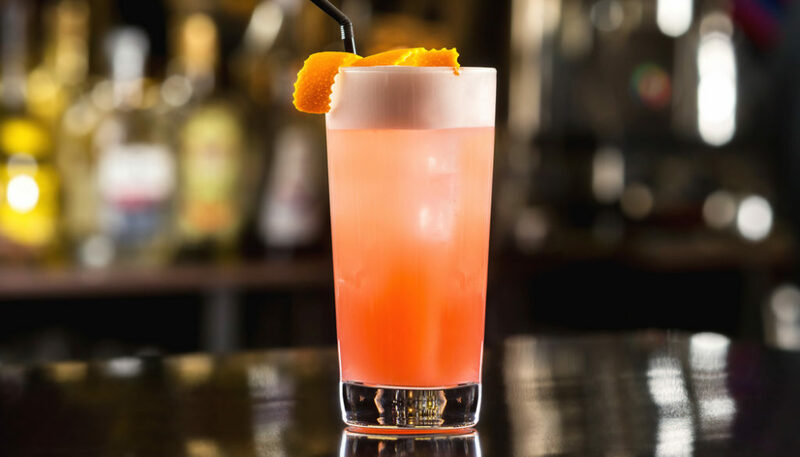 Top with the ginger beer then garnish with an orange twist.